Change The Excel Sheet Tab Color !! 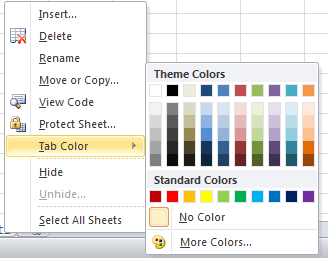 Tab Color Let You Easy To Arrange The Sheet In Excel. Right Click On The Sheet Tab You Want To Change The Color , Choose The "Tab Color" And Select The Color You Want .